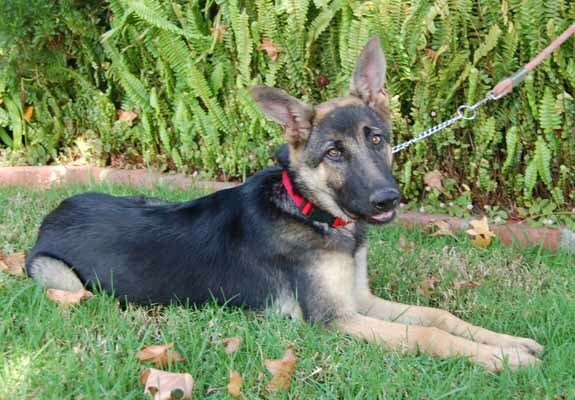 Emmie is an adorable 5 month old German Shepherd puppy. 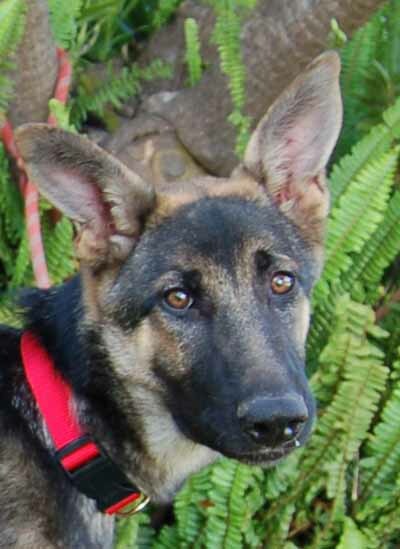 She has a very sweet temperament; she is very loving with everyone in her foster family, mom, dad, brothers and canine alpha male. It is so cute to see how she postures to approach an alpha dog; she gives them all the signs of not being a threat or challenge to them. 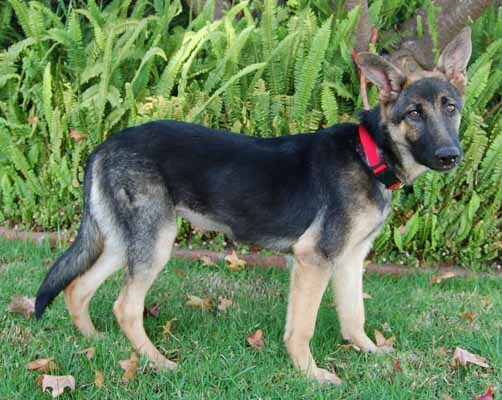 She will give one bark at the cats and walk away; any cat that would stand his ground would scare her. Emmie loves company but she can also be left alone without being hysterical like many German Shepherd puppies. She is doing well on her potty training and doesn’t mind a crate. Emmie is good on the leash and enjoys long walks, but then she comes home and sleeps. She is an easy puppy to have around. She is not a chewer at all; the worst thing she does is sneak doggy cookies from the pantry. Judging from her paws she has lots of growing to do!